Christchurch’s Sam Johnson has helped organise the construction of 70 transitional shelters in outlying areas of Nepal that have had no assistance since the devastating April earthquakes. “We have an ambitious goal of putting up 1000 shelters or homes. We had a group of 10 young Nepali volunteers help our New Zealand team collect and organise roofing iron, framing and wire. 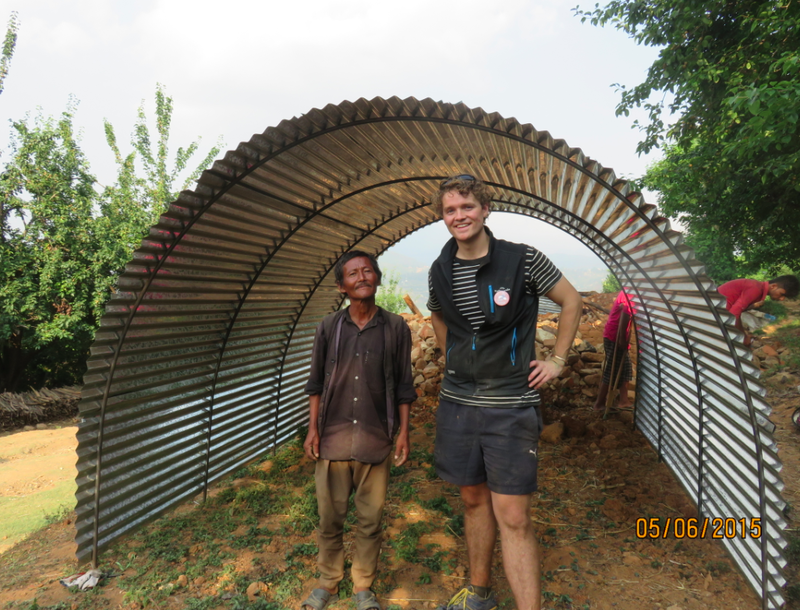 “Our Nepali/Kiwi group headed to Chaimale, which is only 30 km from the capital but it took more than three hours to reach our destination because of rough steep roads and we stopped to offload materials in different places for shelter construction. “The shelters are being built for the most vulnerable people who have lost their homes such as women with children but no husbands or family groups with disabilities. The need is great so we are all helping those who have the hardest times helping themselves. Johnson’s team is also helping the Friends of Himalayan Children Inc. lead by Nepali Som Tamang who is focusing on the hardest hit areas of mountain villages where most homes and schools collapsed in the earthquake. “We are in the process of taking roofing iron to a remote village in the Ramachhap district named Pritee which is 210km from Kathmandu but takes more than 12 hours to drive to. We are taking 648 sheets of corrugated iron to be distributed so villagers can begin reconstruction of school classrooms. “Each classroom needs 18 sheets of iron, and so enough iron will be given to replace the number of classrooms lost by the locals. This mission is just for the delivery of the iron, the locals will build their own bamboo structure and use the iron as roofing.